I can’t believe I never included this image in my previous “Rippled” post, so here I am to put amends. In my view the ripples are what makes this effective, continually drawing the observer into the image form its bottom edge. 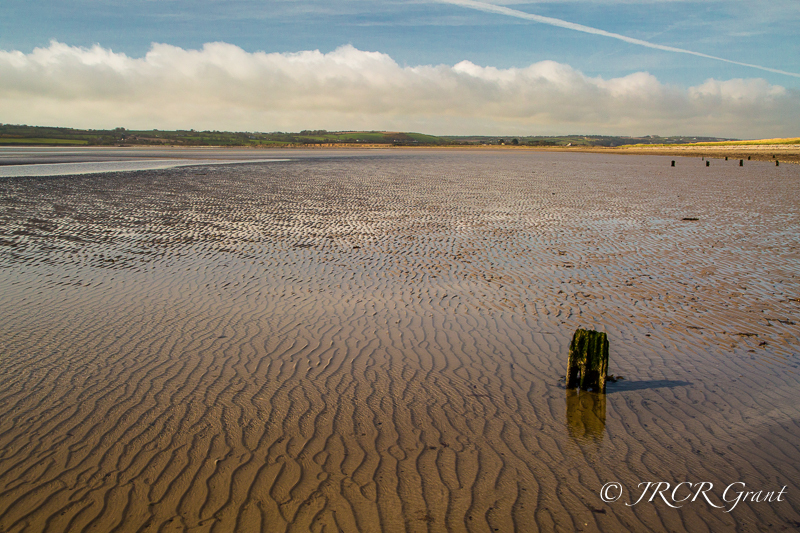 For those interested the image was taken near Youghal, East Cork. Thanks Kat, not happy about the images being stretched and a few other issues. Think I will continue searching the themes…. I wonder how squidgy that is under foot? And I am trying to imagine it being tepid but am STRUGGLING. 😉 Still gorgeous! Hey MM, I love your ripples! Gorgeous shots. I love the ripples! Strange that I had just talked about ripples on a lake before I looked at this. Beautiful ripples and a lovely roll of clouds and blue sky! I have a hunch there would be some interesting archaeology under that sand, a decent metal detector and a team of diggers and who knows what you mat find!!! !